By clicking on the link above, you will see the various types of prints available, canvas, framed, acrylic, metal or even greeting cards. The largest size canvas print is 48" x 38". Please read the blog below to see details about a special offer this month for free shipping to UK and Europe for prints. Starting now until AUGUST 31st 2014, we’re offering FREE SHIPPING on all of my canvas print orders through Fine Art America that get shipped to any country in the UK or Europe. You don’t need a special code to receive the free shipping offer. Just add a canvas print to your shopping cart, select a shipping address in the UK or Europe, and you’re all set. In less than a week, we’ll deliver a museum-quality masterpiece to your doorstep with a 30-day money-back guarantee! I have over 457 images in 8 separate galleries to choose from! Just click on the thumbnail of the gallery to scroll through. 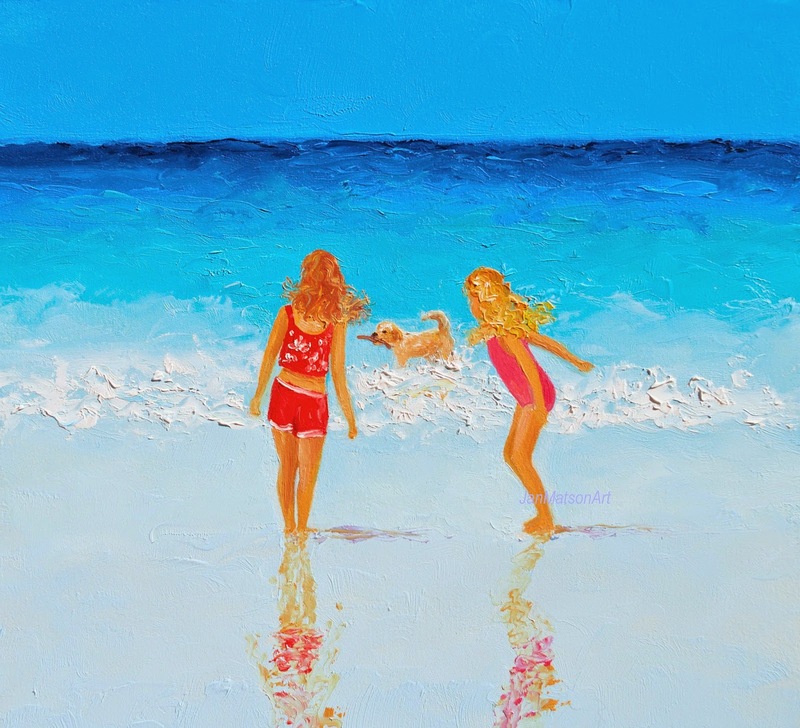 Click here to view over 450 prints, beach paintings, landscapes, street scenes, kid's art, digital art, animals and flowers. 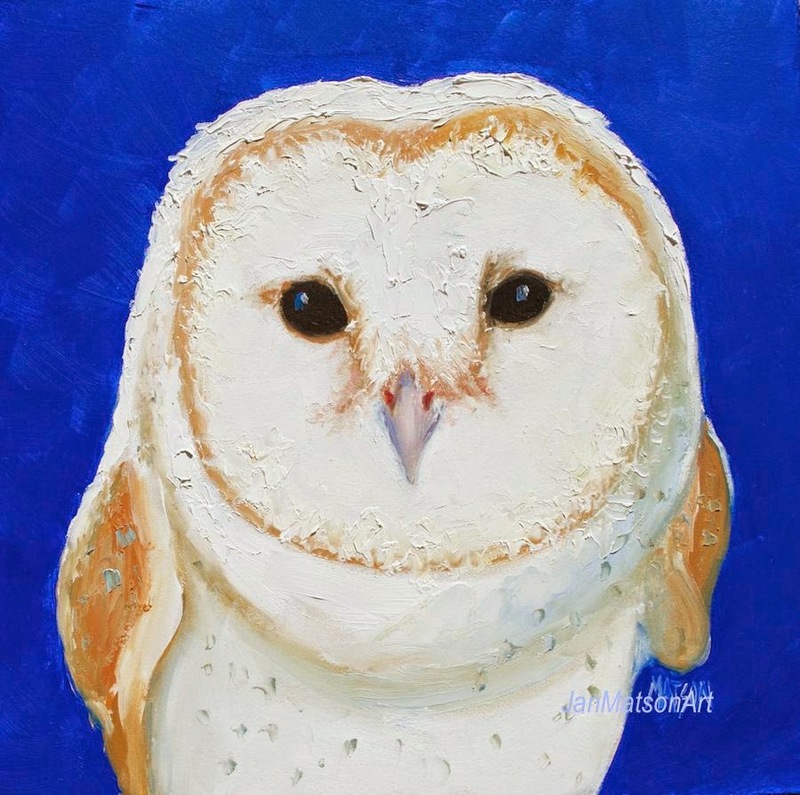 A Barn Owl on a bright blue background will add a colorful statement to your home decor, nursery or child's room. canvas prints, framed prints, acrylic prints, metal prints and beach greeting cards. 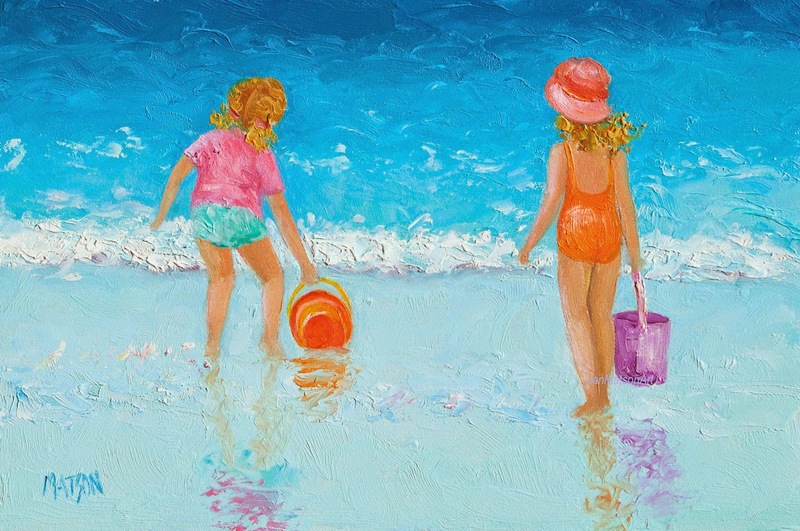 This happy little beach painting will add a colorful touch to a little girl's room or to your beach decor. Here you will see displayed the different methods of print available; canvas, framed, acrylic, metal, etc. 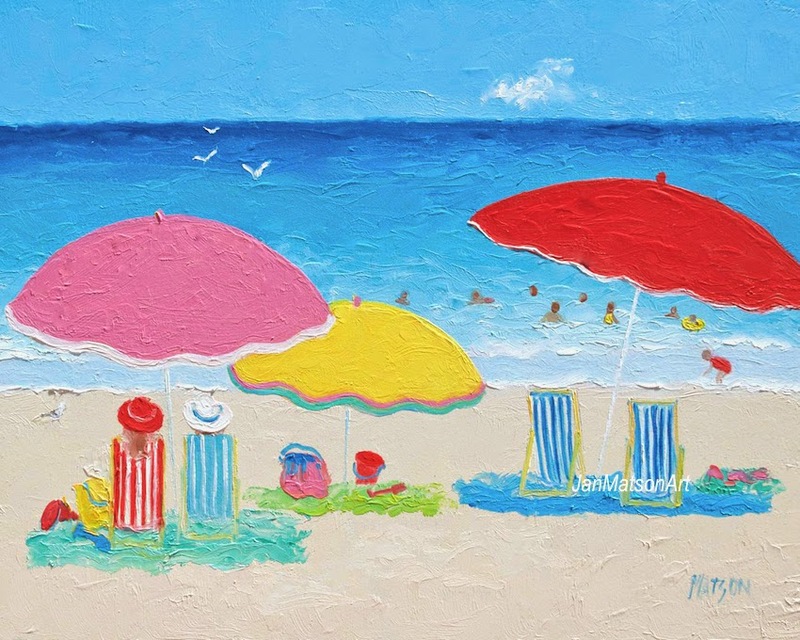 A bright and happy beach painting which will make any little girl happy! 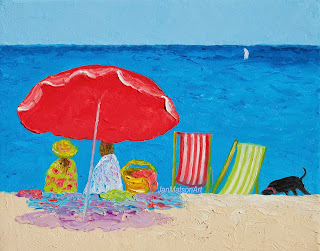 or add a splash of color to your beach decor. A row of colorful umbrellas will add a bright splash of color to your home or beach decor! It is available as a stretched canvas, framed print, acrylic print, metal print and even greeting cards. Painted with a palette knife for a luscious thick texture. 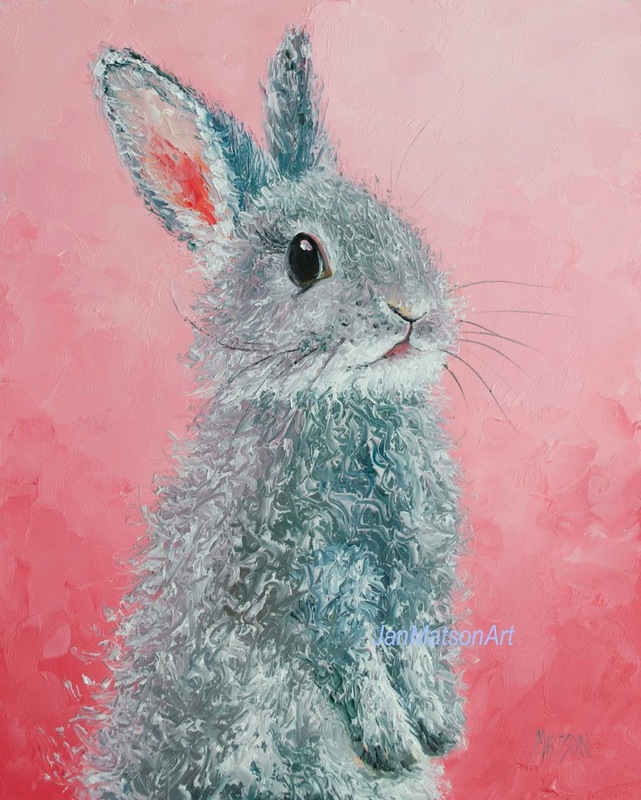 A cute little bunny rabbit for the nursery, child's room or for the bunny lover, like me! 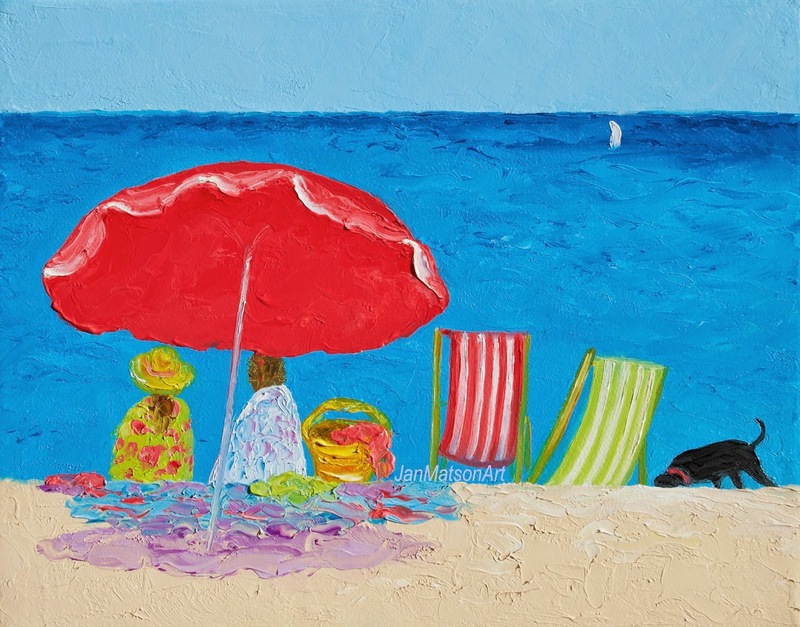 A print of this new beach painting is available from my Fine Art America store here: It is available as a stretched canvas print, framed print, acrylic print, metal print and even greeting cards.